The words of wisdom passed along by other mothers when I was pregnant did nothing to prepare me for the way an infant, and then toddler and then preschooler would uproot me into a topsy-turvy world that in no way resembled what was once the serene landscape of my calm, orderly life. I feel better prepared for the waves of change that my second child has started. Smug. That’s it. I am actually smug at how well I have adapted to said changes and how well I have managed a new life with baby #2. Now that my first born is well into age 5, I feel caught in a storm of change. Again. My son is very articulate. He reads. He adds and subtracts with ease. He does simple multiplication. He has mad soccer skills…is social and boisterous and sweet and fun and respectful and outspoken. He is everything I dreamed my five year old son would be…and everything I didn’t. Wow. The Rage. Impatience. Frustration. The sheer force of emotion that I feel. Yes. Those are my emotions when his will is unbending, unyielding, impregnable just because he can say no and mean it. It’s impressive really. And, when I am sane again I can’t help but admire his tenacity – his strong sense of self. Except, when I am sane again, I also can’t help but feel…like I should handle this better. How on earth can one little 5 year old with gorgeous brown eyes whom I simply adore bring me to my knees with frustration? After a few episodes of intense disagreement…every cell in my body screamed at me that my relationship with my son would suffer greatly if I kept us on this path of daily confrontation. I needed a way to connect with him again. To remind him that I’m on his side. To remember that he is getting older and I have to adjust my parenting. And the universe responded by bringing into my life the philosophy of gentle parenting. Gentle parenting is not about giving in…it’s about tuning in. It’s about authentic connection with your child so he feels validated – not controlled, not belittled, not unimportant. I honestly believe that emotional health is critical to a child’s well being and education. It is my responsibility to ensure that my children are emotionally healthy – and that starts at home…with me…with their dad. As a family we can connect and do this without so much struggle. It all sounds so lovely on paper – validate, connect, empower. And, it is. It is. It is easy during …well during the easy times. I just hope I can remember to breathe and create the space within me to help us through the stressful, challenging times because I refuse to let the beautiful and amazing experiences I’ve had with my son turn into daily battles and power-struggles. Will it work? I hope so. Will it solve all the challenges that parenting brings? I wish it so. In any case, I love the idea of raising my children without the gripping frustration that they can so innocently (and not so innocently) cause. There will be hits and misses…I just hope the hits will make the misses easier to bounce back from. 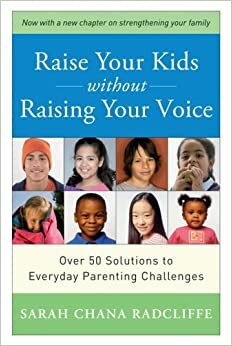 I don’t believe any one book or any one strategy will solve all parenting dilemmas. I do believe that the more educated I am then the more resources and tools I will have to at least feel like I can give my children the best of myself and help them along their path. And, when all else fails…there’s always that stash of chocolate in the pantry that makes us all smile. Have you tried any gentle parenting strategies? Any advice? Thank you! I absolutely agree. The second you get used to anything they go and change things on you 🙂 children definitely keep you on your toes!